As I was munching on this delightful and unusual salad I was trying to work out exactly what would work well with it. If I wasn’t vegetarian – I’d eat this with pork. It is sweet but not too sweet – it is tangy but not too tangy – it is indeed a well balanced delightful salad. It is very light – so great for lunch or as an accompaniment to your main meal. 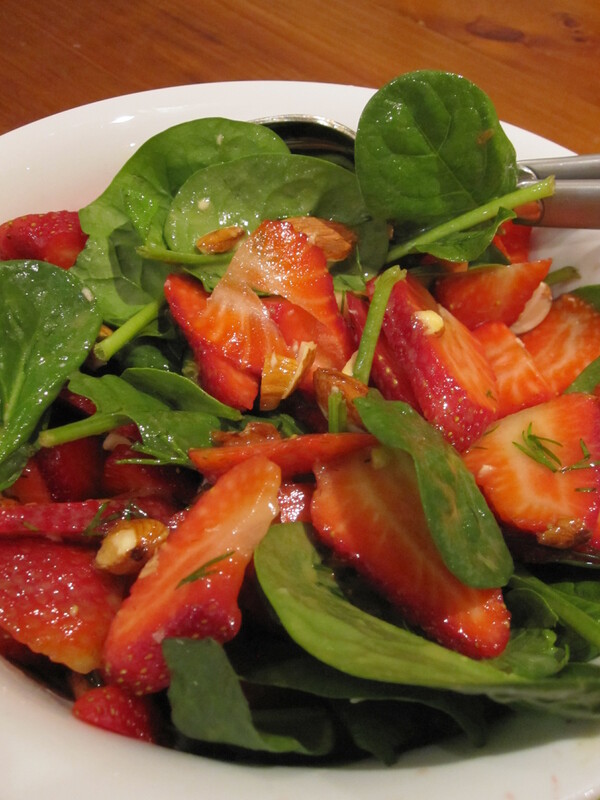 Place the spinach, strawberries and almonds in a large bowl. Drizzle with 1/3 cup of dressing and toss well.